Archos has launched a new PMP, the Archos 3, which features a 4 inch touchscreen color display, and virtual wheel to navigate through your play lists. 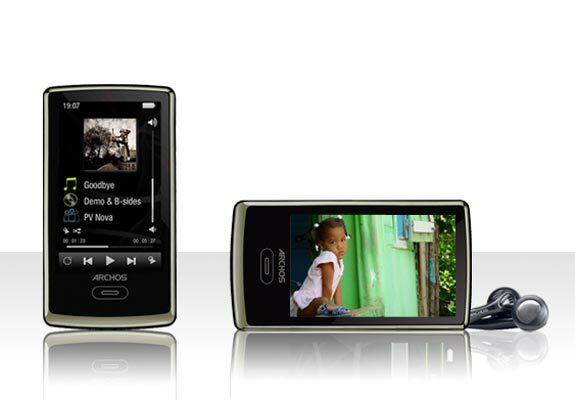 The Archos 3 comes with 8GB of storage, and can playback mp3’s and photos, it also had a built in voice recorder, stopwatch and calendar. According to Archos the built in battery will give you up to 14 hours of audio playback on one charge, and you can store up to 4,000 songs on the built in 8GB of storage. Unfortunately there are not details as yet on pricing or availability for the Archos 3.